Buildings on stilts looked cool on the Jetsons, but the reality is more like Blade Runner, where the poor must live in the shadows below the wealthy above. By signing this petition you are saying no to empty buildings filled with voids or held up by stilts simply to give the 1% better views while leaving the rest of us in their shadow. There is something wrong when developers would rather build empty spaces to prop up the wealthy rather than building the affordable housing that 99% of New Yorkers need. Voids taller than 25 feet will count as zoning floor area. Voids within 75 feet of each other will count as zoning floor area. Non- residential mechanical space will be subject to the same 25-foot limit if non-residential uses occupy less than 25%. 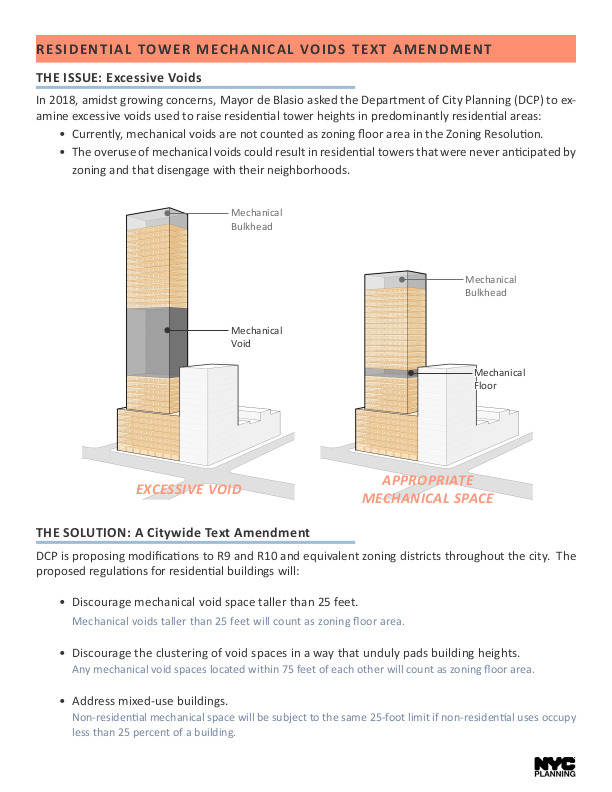 Sign the petition in support of closing the zoning loophole that allows for mechanical voids.